Today all five of the kitchens I'm showing have quartz countertops. 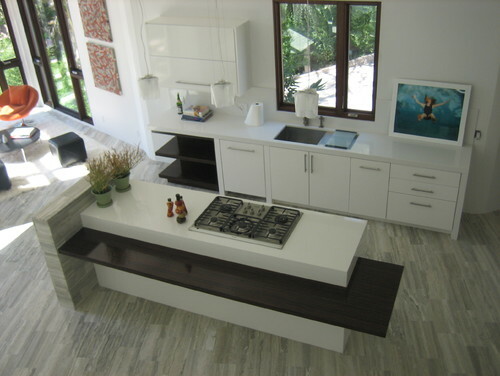 Quartz is a great option if you want an all white kitchen but don't want the maintenance of marble. 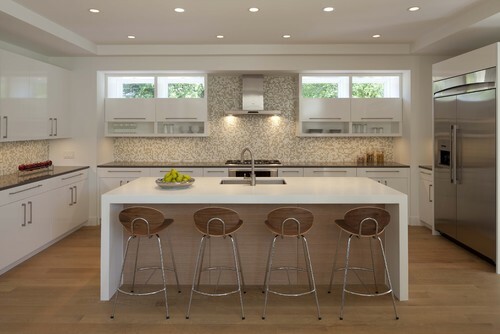 The countertops in the photo below are Nougat CaesarStone. Oh I love every one of them! Don't get me wrong, I still think marble (Calcutta please) is the gold standard for the perfect white kitchen but we all know it has its limitations. If you're a person like me who is not willing to deal with those limitations then white quartz is like mana from heaven. It's a different look but one that I like equally well and I love it in all of these applications. 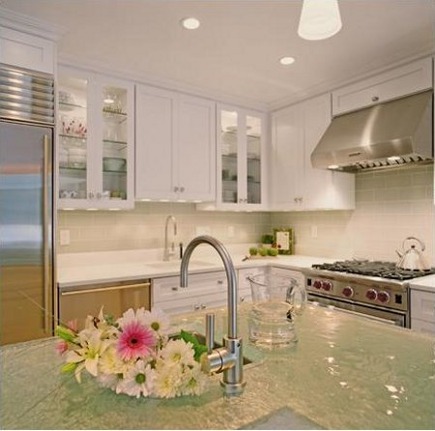 Waooooo, this white kitchen is looking awesome; I just love all the things in this picture. And by the way white is my favorite color too. Thanks for this great post.